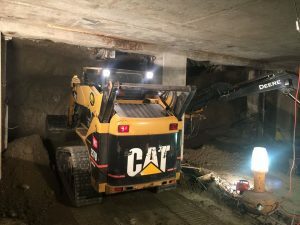 Tunneling & Underground Engineering – SubTerra, Inc.
SubTerra, Inc., and its team of associates offer a broad range of engineering services at each stage in the investigation, design, and construction of tunneling and underground excavation projects for civil construction and mining applications. Design and Implementation of Site Investigation Programs, for new tunnels, focused on project specific geotechnical issues and design information needs, including site reconnaissance & mapping, layout and supervision of exploration plans, identification of laboratory and in-situ testing needs, instrumentation setup and monitoring. Interpretation of Site Investigation Data to provide geological characterization and a geotechnical framework for excavation design, risk assessment, and preparation of factual and interpretive reports. Project planning, cost and schedule estimates, Design Drawings, Specification and Bid Document preparation. SubTerra, Inc. brings over twenty five (25) years of experience on over 100 completed Tunnel and Microtunnel projects. This experience includes Owner and Contractor Design, Design Review, Construction Management, Claims and Claims Management and Expert Support in Litigation. Projects include Conventional Excavation (drill-and-blast), NATM/SEM, TBM, EPBM, MTBM and a wide range of Pipe Jacking with tunnels as short as 40-ft and as long as 9-miles. We specialize in Complex Designs providing simple solutions for Complex Projects using a full range of Design Tools and 3-D Modelling to demonstrate Complex Projects in advance of Construction.